For nearly three years, Michael Brooks of Northwestern Tennessee has been fighting for his children and for his life. Faced with terminal Hepatitis C, he finally found a treatment that saved his life and brought him into remission. However, Child Protective Services of Tennessee is using the very thing that brought him from the brink of death - cannabis oil - as grounds to take his children and place them into foster care. 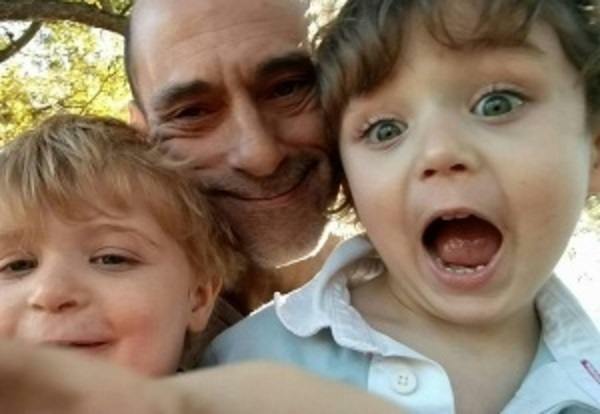 He has been forced to choose between staying in Tennessee and accelerate towards his death or leaving to continue treatment in Colorado and risk being accused of abandoning his children. Please beware of him and learn the whole story, not what he's putting out. I'm a brain tumor patient and Michael Brooks scammed me the very day I was re-diagnosed with brain cancer. I believed his story, loaned him money so he would have a place to live only to find out he was getting money from several others for the same thing. I arranged for churches and people to help him out and even got someone to donate him FREE CBD oil to treat his Hep C legally so he'd be able to get his kids back but he refused, took my money and ran so he could keep scamming. My heart breaks for these babies. As sick as I was I would've done anything to help this family but sadly Mike was more worried about scamming then getting the kids back. It's total BS that he is having to go through this, but he isn't out of options. High dose Vitamin C ~ either via IV or orally with Lipsomal form Vitamin C will also kill Hep C and I'd guess, first and foremost, he'd like to stay alive however that can happen... for his kids and to continue to fight these bastards. Google "Karl Lentz" and see how he got his son back. Although he has many, one video for reference on getting children back from CPS is youtube - "Karl Lentz Destroys Kurt Kallenbach ". It is a DIY approach dealing with the system in the lawful status of a "man or woman" as opposed to the "legal" status of a "person" who under legal definition has Few rights. He needs to stay on the cannabis oil and begin petitioning the government of Tennessee to overturn the laws regarding medical marijuana. Staying alive for the sake of his kids is the most important thing he can do at this point. Also, I've read that they make CBD oil without any THC in it. If he can find a company that sells CBD oil that is THC free and pass a drug test, that should solve his problem.